This one day course will give you a great insight into the Pure Botanics style of flower design whilst learning the basics of modern day floristry. You will learn how to make three unique flower arrangements with a festive theme, ready to decorate your home for Christmas, and you will be able to take all the arrangements away with you too! All flowers and sundries will be provided, please just bring your secateurs and scissors. 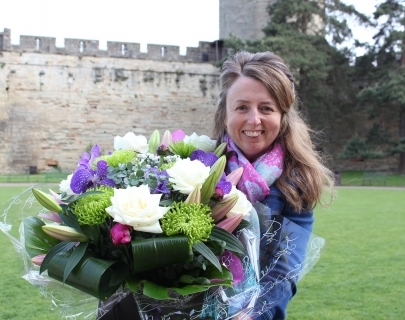 Cindy Lymbery is a professionally trained florist who set up and runs Pure Botanics, a specialist wedding and event flower company. With over twelve years’ experience of producing her own unique style of floristry design she has produced flowers for hundreds of special occasions, ranging from lavish celebrity style events and weddings to small intimate gatherings. In addition, she has demonstrated at shows and taught floristry workshops.